Keith Hunter II is a graduate of Ladue Horton Watkins High School, where he was named team captain in Football and Track & Field. Keith received multiple All-Conference and All-State honors in both sports throughout his high school career. Keith went on to receive a scholarship to Illinois College where he was a 1st Team All-Conference Football Player and helped lead his team to the NCAA Playoffs for the first time in school history. Keith graduated with a degree in Business Management with minors in Marketing and Graphic Design. 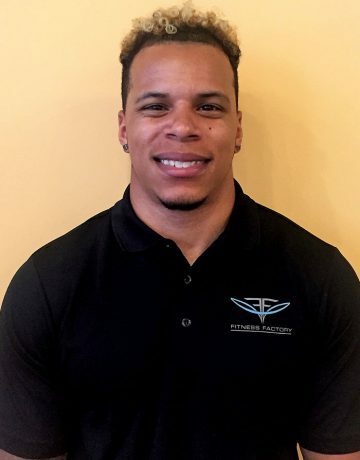 Since graduating, Keith has been working in Administration for a Non-Profit Organization centered around community development and has become a NASM Certified Personal Trainer. Keith also serves as the Media Director for his family owned business, HunterBodies LLC, handling all media and design work. Keith now competes as a Natural Bodybuilder, winning first place in his very first Novice Competition. Keith loves helping his clients reach their fitness goals that will last long-term through education and training on proper exercise, nutrition and lifestyle choices.